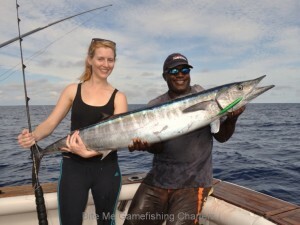 Here on Kadavu, any gamefish hooked up on ultra-lighttackle is a potential IGFA World Record….and we do like to smash Records. 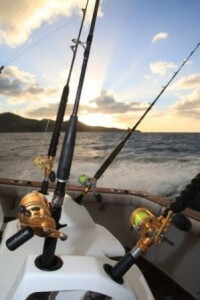 Nothing compares to fighting a gamefish on ultra-light tackle. When you are hooked up on 4kg line class to a little 10kg yellowfin tuna and the fish laughes in your face and peels of 200 yards of line, you realise what a challenge you are in for on these ultra-light line classes. 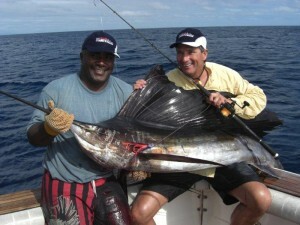 We hold two IGFA World Records on ultra light line. The Men’s M-04 Wahoo World Record and the Ladies W-o3 Wahoo World Record. 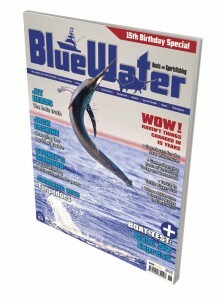 Ultra-light tackle gives the fish a better than even chance of escape and demands superior angler skills and specialist, carefully prepared tackle. 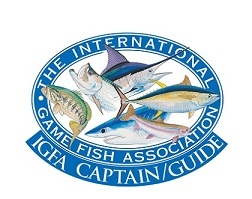 When fishing with Ultra-Light gear we allways strictly adhere to the IGFA Angling Rules and use IGFA Rated line, usually pre-tested. We use Avet SX reels on custom made Eyre and Stickfacewrangler all roller rods and we like nothing better than to target big fish with them. 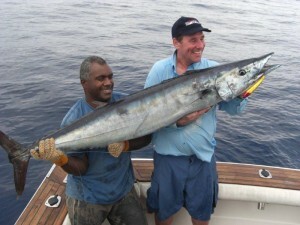 We hold many 4kg line class Fiji National Records including Wahoo, GT, Mahi mahi , yellowfin tuna and Pacific Sailfish. 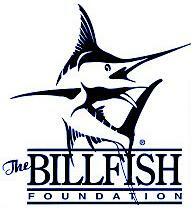 Our longest fight to date was five and a half hours on a potential World Record Pacific Sailfish, only to be bust off by a dolphin. If you want to do some specialist National or World Record hunting, we can put you on to the right fish and maximize your chances. Tell us what your target species is and we will advise on the best time to come.